I'm sick and tired of the whole Qt environment, even if i like the Qt framework. Considering i only code for windows anyway, i'm switching to visual studio and very probably C# & .net 4.7. What would you suggest as framework to use for current day high performance oriented (fractal) app development. eg : WPF ? Form ? wtf is WinRT anyway ? Should i care about DirectCompute ? Any cute framework for GPGPU ? In my project I ended up making the front-end in C# and calling command-line-programs made in C++ with the actual calculations. My program uses tons of memory and being able to control allocations was crucial. Cloo is a NuGet package for OpenCL that worked fine for me. Use Cuda if you have a Nvidia card, in my experience OpenCL works but Cuda is much faster for Nvidia. Haven't used Cuda from C# so can't recommend any package. No openCL framework got better that Cloo ? Nice, works for me. I have a NVidia card but i'll stick to OpenCL. I'm learning WPF, XAML isn't as horrible as originally expected so it's cool. I may even like it, but i didn't code yet, just designing the UI for now. 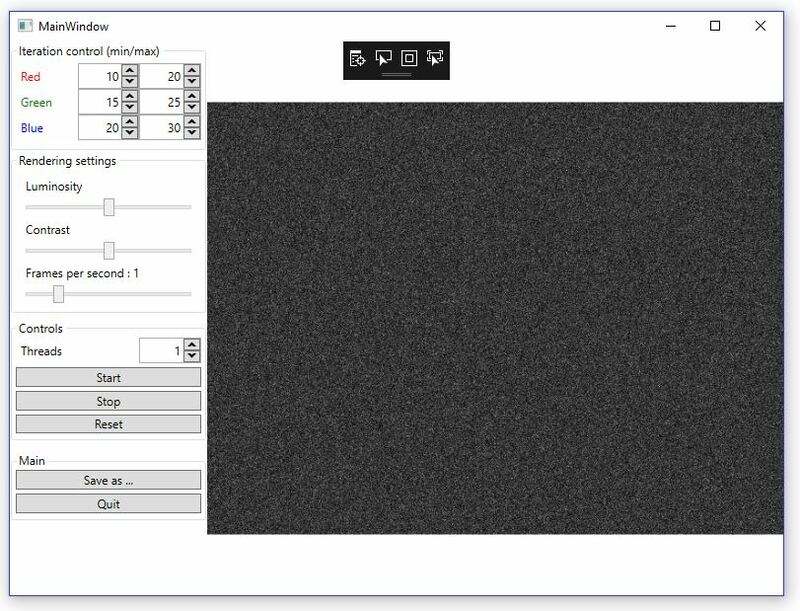 I also considered using expression blend but i'm doing a simple UI so VS and the XAML editor will do the job i guess. EDIT : and muuuuch better to use/learn than the QtDesigner thingy that i was never ever able to use more than 5mn without raging. There are two Cloo packages in NuGet, just make sure you get the latest one. 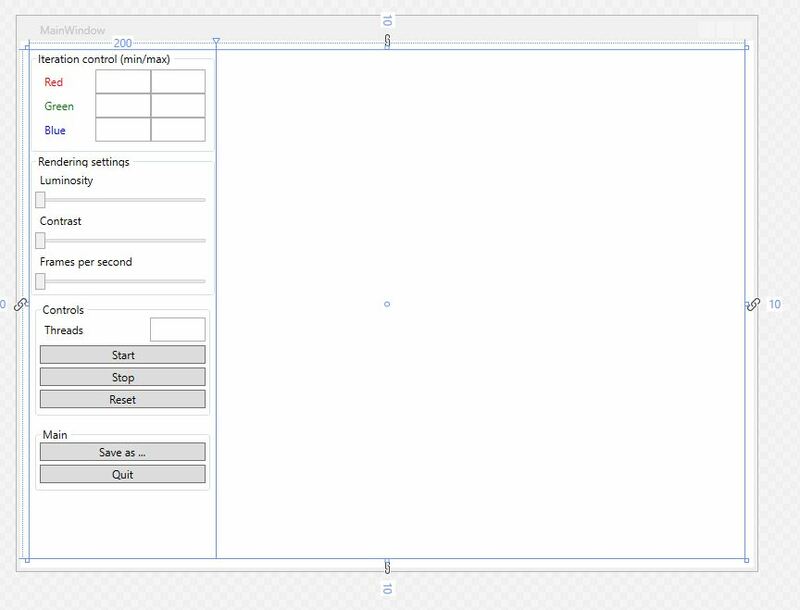 not too bad after 1h30 of random learning, considering i never touched WPF and XAML before this. It lack some stupid stuff but http://wpftoolkit.codeplex.com/ solve most of it. It's going well so far, i got the writeable bitmap buffer problem solved.